Carnegie Mellon University has settled its patent infringement lawsuit against Marvell Technology Group Ltd. and Marvell Semiconductor, Inc.
A substantial share of the proceeds will go to the inventors, José Moura, a professor in Carnegie Mellon's Department of Electrical and Computer Engineering, and Aleksandar Kavcic, a former doctoral student of Moura who is now a professor of electrical and computer engineering at the University of Hawaii. Their scientific research and technological innovations had a powerful impact on the ability to detect more accurately the data stored in the disk drives of computers sold worldwide in the last decade and a half, from large servers to small laptops. The data storage industry experienced tremendous progress recording larger and larger amounts of data in continuously shrinking domains. With zeros and ones recorded in ever tinier spaces came the challenge of detecting that data without errors. In the mid-'90s, Moura and Kavcic invented a new read channel detector that accounts for noise associated with each particular pattern of bits recorded. This type of detector was widely recognized by the industry in the decade that followed. "A key part of Carnegie Mellon's mission is making discoveries that have global impact," said CMU President Subra Suresh. "We are pleased to honor the work of José and Alek, two inventors who provided a major step forward in computing technology, at a time when computing was transforming our world." 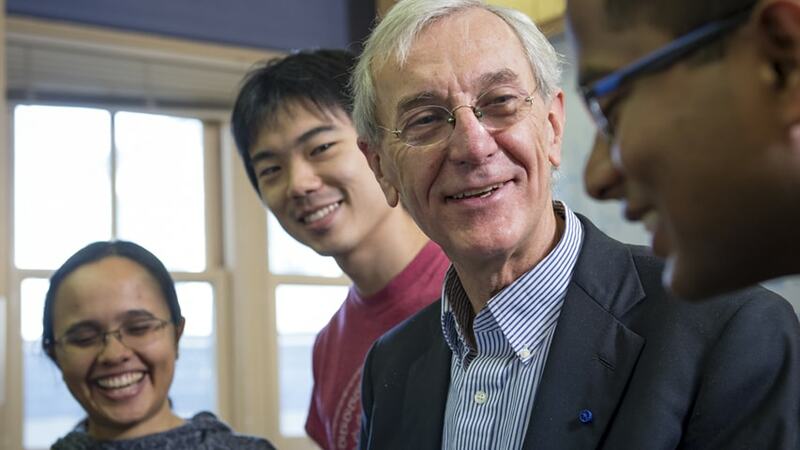 "José Moura is a pioneer in using advanced signal processing techniques to solve a wide variety of challenging problems," said CMU College of Engineering Dean James Garrett. "He is an excellent example of the world-class professors and researchers this university is built upon." In the early 1990s, Moura and Kavcic made a conscious decision to forego incremental improvements, and focus instead on challenges they expected would arise in years to come, as magnetic recording devices pushed toward their physical limitations. "When the industry faced the inevitability of its own success, it needed a fundamentally new approach," Moura said. "Our solution could read back, with few errors, the enormous amount of data industry was packing in very small spaces. The rest is history." Today, Moura's work extends beyond data storage and into signal, image processing and data science in many application domains ranging from data analytics to urban science. Moura cofounded SpiralGen, a company commercializing SPIRAL technology, under license from Carnegie Mellon. After legal fees and related expenses, the inventors and the university will share remaining proceeds from the settlement. "There is broad consensus across the university that we should dedicate a substantial majority of this resource to helping qualified students afford a Carnegie Mellon education, helping all students succeed while they are here, and enhancing the student experience," Suresh wrote in an email to the global Carnegie Mellon community. "I have charged a committee to provide me recommendations on how best to allocate these proceeds to achieve these goals, both now and in the university's long-term future. That committee consists of Provost Farnam Jahanian; James Garrett, dean of the College of Engineering; and David Coulter, a member of the Executive Committee of the Board of Trustees."